Aries: Totally different. He’s always in a hurry and you are very meticulous and careful. Do you think this can work? Taurus: A perfect combination that fits any schedule. You’ll even schedule love making sections. Gemini: Not enough time for each other. The relationship can have many more downs than ups. Very little chance it will work. Cancer: An adorable combination. Your love nest will be comfortable and pleasant. Leo: You bring stability into each other’s life. Virgo: Perfect. It would be great if you could work together. This could be a very stable relationship. Libra: You can’t be more different than Libra. You won’t be able to deal with his indecision. Scorpio: This is a relationship that brings a lot of responsibilities but can teach you many things. Sagittarius: Lots of ups and downs, but feasible. Capricorn: Excellent combination. Both of you are practical people and understand each other well. Aquarius: You are very different. Virgos are conventional, Aquarius are detached and modern. You are both analytical. Continue this relationship only if you’re willing to change radically. Pisces: You complement each other but it all depends on the amount of love you feel for each other. 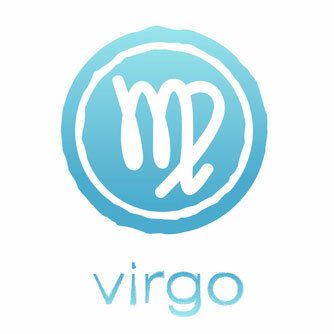 The Virgo Women: They are active, intelligent, and perfectionist. They like organization and cleanness. Health and a good diet are important to them. If you invite her to go to your house make sure everything is organized and clean. They like to take a nice candle light bath. The Virgo Men: They are detail oriented, like to observe people and situations, and are also impeccable. Make sure you look perfect from head to toe, send him nice emails inviting him to have dinner at your house. Just don’t forget to thoroughly clean your house before he comes. Virgos are detail oriented so choosing a gift for Virgos may take a lot more time; you have to think of all the right details for a gift. Virgos are IMPECCABLE. Virgo Gals: A very well made suit from her preferred designer would be good, and they know about fashion! Make sure the wrap is perfect and beautiful. A jade stone ring would make her very happy. A day in a SPA, a facial or a massage. Your credit card with no limits to spend should do the trick. Virgo Guys: He observes everything. An expensive designer tie or a shirt for example would make him really happy. Organize his wardrobe by color and style. Starting the day with a romantic breakfast in bed would make their day. Don’t forget to wear impeccable lingerie.